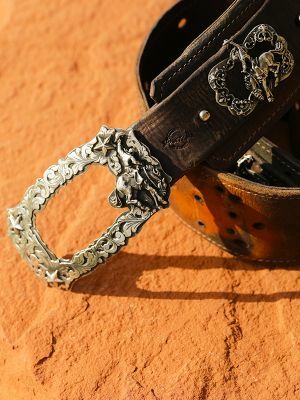 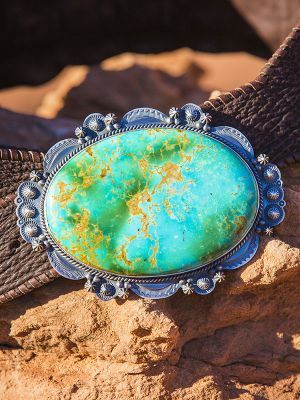 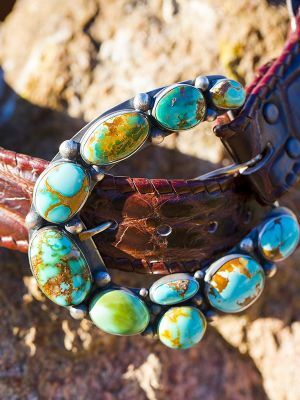 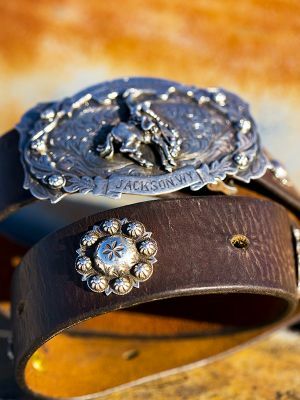 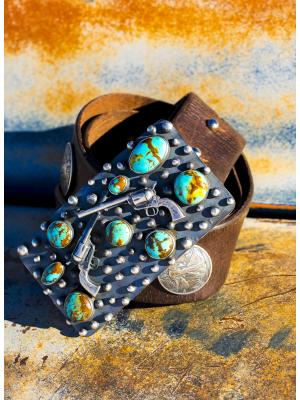 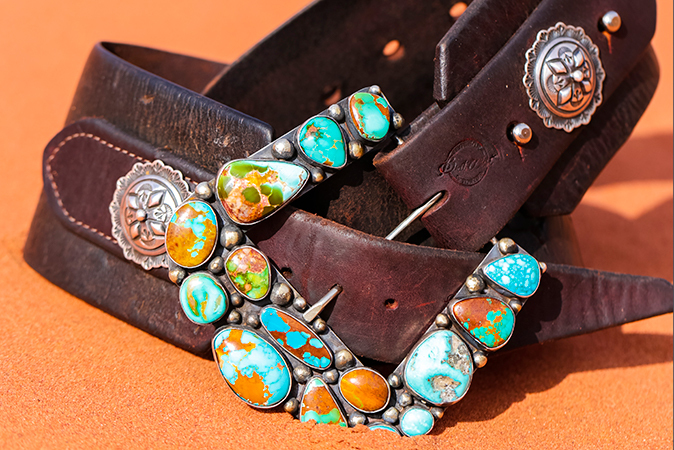 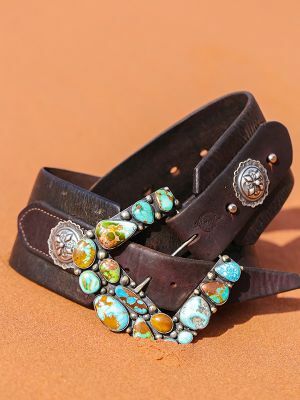 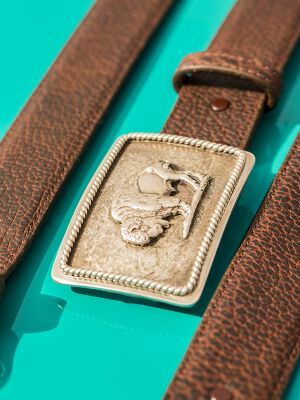 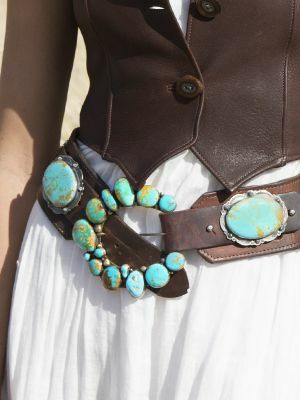 Each buckle is formed after hours of designing and months of collecting fine American turquoise from mines including Kingman, Emerald Valley, Sleeping Beauty, and Fox Nevada. 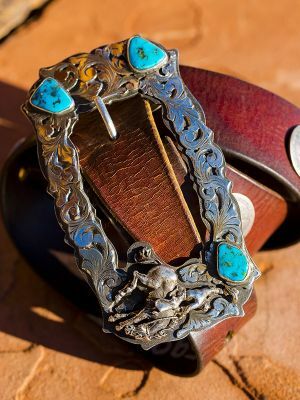 From the Tetons Frame, On the Range, or Spanish Pieces of Nine, each piece is unique, and amazing. 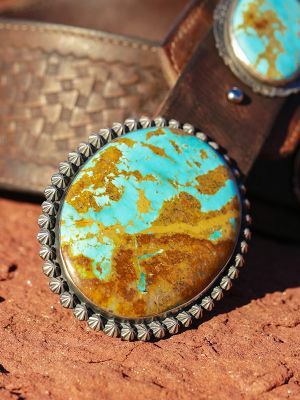 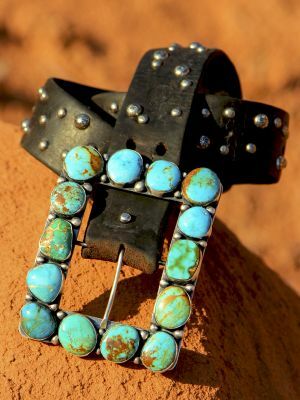 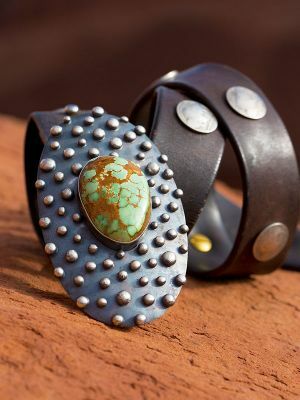 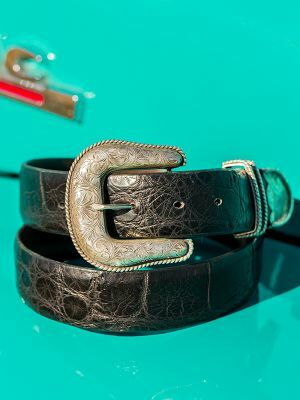 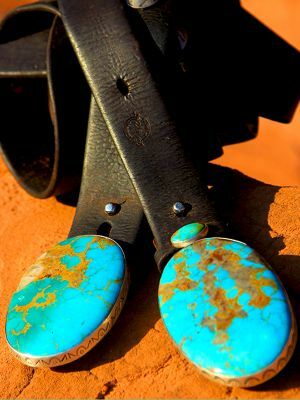 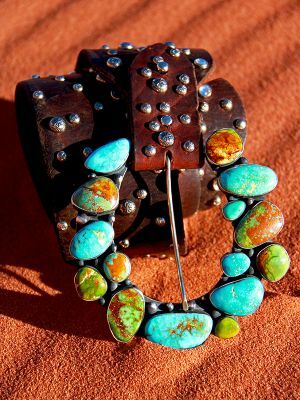 Check out the huge beautiful chunks of natural American turquoise set in solid sterling silver in my "Grande" buckles. 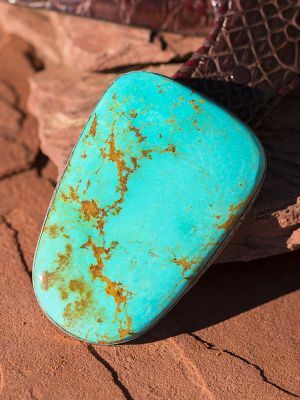 These stones are very rare and hard to cut since the rough stone is typically ten times the size of the finished stone. 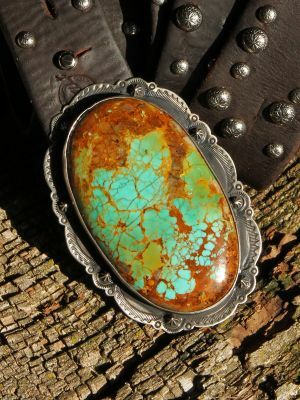 Feel the passion put into each unique piece! 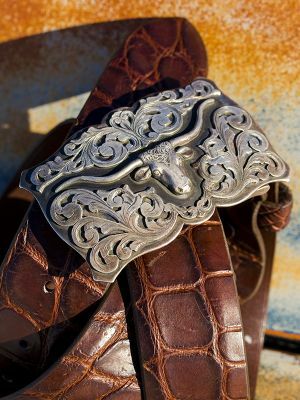 Made in USA, better yet, Made in Wyoming!